All accommodation enquiries, more info, availability or booking should be made direct with the accommodation provider (see the accommodation advert). if you have a question regarding an advert on our website, please contact us by one of the methods below. Tel : contact accommodation owners via an advert. 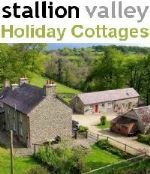 If you would like us to carry out a quick search for a self-catering holiday property, you are welcome to complete the form below (UK only). 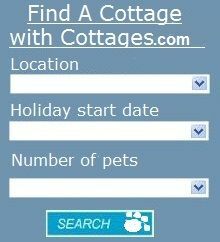 Q: What is Pet Holiday Finder? Q: How up to date are the listings? A: We aim to keep the adverts up to date as possible. We try to encourage all advertisers to inform us if there are any changes to their accommodation or service: this will prevent unnecessary phone calls or emails. Q: Where do you get your listings from? 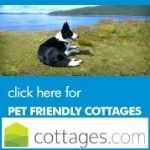 A: Anyone with a pet friendly holiday accommodation can advertise with us. Some of the adverts come direct from the private property owner and some are from agents on behalf of the owners. Q: What types of holiday accommodation do you list? 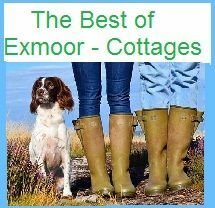 A: We will list any form of holiday accommodation that is happy to accept pets. Q: What are the benefits of listing my property with Pet Holiday finder? 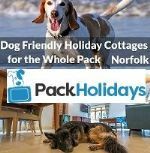 A: Petholidayfinder.co.uk has been trading since 2007 and is looked at by thousands of pet owners every month looking for holiday accommodation throughout the UK, Ireland and Europe. By accepting pets you are doubling your potential as over 50% of households own pets. Q: Who will see my listings? 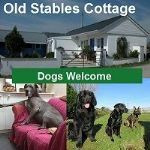 Q: We are looking for a pet friendly holiday in a specific area, can you help us? 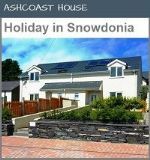 A: We have a large directory of accommodation available in all areas of the country, it is best to use our website search facility.or complete the form above. 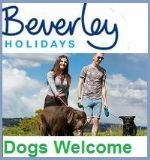 Q: I have found a holiday on your site which said it accepted dogs, but when I phoned the advertiser they said they had changed their mind. What can I do? A: Please contact us with the details and we will contact the advertiser to find out the reasons for this, and correct this advert accordingly. If they are no longer willing to accept any pets, we will remove the advert from our site. 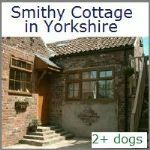 A: We offer low cost advertising for anyone with a dog friendly accommodation in the UK, Ireland and France. We charge an annual fee to be listed. Our current prices can be found by clicking the 'Advertise with us' tab. You can submit your advert online via the forms provided, if you would like further details please contact us. Q: What methods of payment do you accept for listings? A: Payments can be made by debit/credit card online/ over the phone, PayPal account, or payment by cheque/postal order (via the post) Bacs transfer. Adverts will not be built/activated on our website until we have received your payment. A: If you decide you would like to advertise with us, please select the 'Advertise with us' tab and follow the online instructions. Once your advert has been submitted and payment has been received, it will then be forwarded to one of our team members. It is their job to proof read your advert(s) before it is submitted live on the internet. Q: How do I add photos. A: Please send your photos to us, either by email or by post, quoting any reference number you may have been given. Each of these photos will need to be in JPEG format and no bigger than 2Mb; preferred size being 640 X 480. If you already have a website, with your permission we can take photos directly from your site. Q: How quickly will my advert appear? A: Once your listing has been approved by one of our team members, we aim to have your advert activated within 24 hours. However during busy periods or if errors are found on your listing, there may be delays. If any problems with the listing are found, you will be contacted by email as soon as possible. Payment is to be received in full, before your advert is approved. Q: How long will my listing run? A: Holiday accommodation adverts will last for 1 Year (unless other options have offered to you.) An email reminder will be sent when your subscription is due to expire and you can choose whether or not you wish to renew it, or whether you would like to upgrade your advert. Q: My advert hasn’t appeared, even though I have paid my subscription and submitted my advert? Q: Can I stipulate the quantity of each type of pet I wish to allow? A: Yes. We would always prefer you to give us as much information as possible regarding pets. Just put the information within your property details. Q: Can adverts only be created online? A: We would prefer this in the first instant. However if you wish to send us your details by post, no problem. Please contact us first. Q: I have noticed an error or would like to edit my listing, can I change it? A: Yes, Please let us know by email quoting the listing Ref number. (found on your accommodation details) Some listing types a charge may apply. 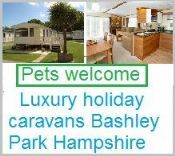 Q: I no longer wish to allow pets into my holiday accommodation as we have had a bad experience, Can I still advertise my service with you? A: We are sorry that you encountered a problem with your pet friendly accommodation. You could always stipulate a well behaved pet only in the future. Unfortunately we only advertise properties that are willing to accept pets. Q: I wish to renew my advert, how can I do this? A: please email us quoting your advert details. Q: When must my renewal payment be made? A: Your payment must be made before your advert is due to expire or before the payment due date we have supplied in your invoice. From your first email renewal reminder we will give you 14 days to make your renewal payment. Q: What happens if I do not make my payment on time? A: Your advert will be removed from view. If a discount has been offered this will no longer be valid and full payment will become due. If a payment is received after the deadline date and it is at the discounted rate we will simply adjust your advert duration based on the amount of payment received. If a free advert has been offered then this will be ceased. No refunds are made. Q: I am already using a agent; can I advertise my property with you? Q: I have changed my mind about accepting pets, Can I have a refund? A: No, sorry but the fees for advertising on this site are to cover administration costs and will not be refunded. Before deciding to totally stop accepting pets, please look at other options as allowing dogs is a great way of getting extra or out of season bookings. Q: Can I advertise my other pet related services (not holiday) through your site? A: Yes, this is FREE and will be listed in the PET SERVICES category. If you want to advertise any services through our site e.g. Banner or link, please contact us. We are always happy to do a link exchange to other sites that are relevant to ours. A: This will depend on your chosen advert type: Please see our 'advertise with us' page .we may accept a link exchange (Terms & Conditions apply) , please request this on the advertising forms. Q: Are my personal details secure? A: In most instances people will click through to your website if you have one. Other than that we display your email and telephone number so people can contact you directly. If you use a booking agent we will be happy to include this in your advert, just provide us with the details. Q: I have a query, how can I contact you? A: If you can not find your answer in our FAQ’s, please email us on the address below, and we will get back to you ASAP.